*Syfy has renewed comedic hidden camera reality series “Scare Tactics” for a fifth season, with actor-comedian Tracy Morgan returning as host and executive producer. Thirteen new episodes created and executive produced by Scott Hallock and Kevin Healey, begin production this spring for a fall 2012 premiere, according to Deadline Hollywood. “Scare Tactics” is a set-up, hidden camera reality prank show that puts unsuspecting victims into terrifying situations, usually involving movie-style special effects and makeup that recreates horror movie clichés. The victims, generally four per episode, are set up by friends/family in tandem with producers. The first season of the show in April 2003 was hosted by Shannen Doherty. Stephen Baldwin took over in the middle of season 2. 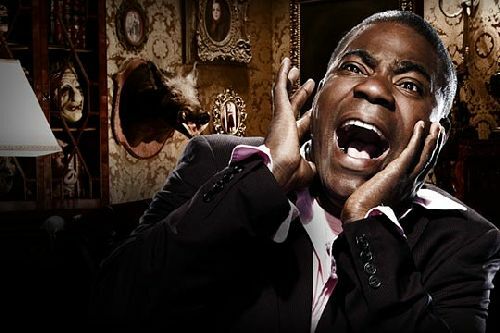 Since the beginning of the third season, the show has been hosted by Tracy Morgan. The fourth season premiered on October 4.
hey….. http://www.MixedMatching.Com === It’s where sugar babies and cougars(mature women) are waiting for love, romance, and etc….find what you like here…. Check it out!!! !